How your leaflet is displayed is just as important as the leaflet itself. NPD has over 20 years of success in creating engaging, eye-catching leaflet displays. 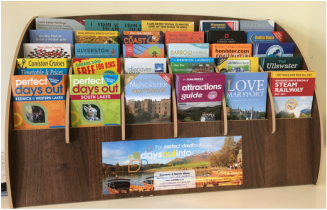 Our professional, bespoke leaflet holders are specifically designed to enhance your brand and encourage people to pick up your marketing. Literature stands can be countertop, wall mounted, carousel or floorstands. We'll cater the display to give maximum impact in any space or location. Email us at info@npdnorth.co.uk for further details of our leaflet display options. We use our detailed database to estimate how quickly your leaflets will be picked up. 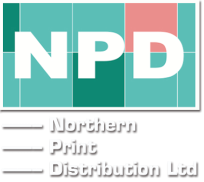 NPD stays in constant contact with our outlets so that we can send more copies of your leaflet before they need it. This way, we can ensure they're always able to keep your leaflet on display.